A Hays Group report has found that turnover levels in the retail industry has slowly risen during Q1 as the job market and retail sales improve. 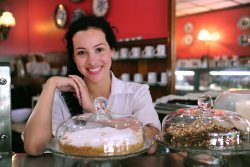 For the first quarter of 2012, retailers reported a median turnover rate of 67 percent for part-timers, rising 33 percent over 2011. About 20 percent of retailers have reported experiencing a jump in first quarter employee turnover. The Hays Group report shows that over 80 percent of retail employers expect turnover to occur mostly among hourly workers throughout 2012. About 30 percent of survey respondents believe turnover will substantially increase among hourly employees at distribution centers. Rising turnover rates have helped focus retailing efforts on retention where 61 percent reported that career pathing was a key tactic in lowing turnover rates; 54 percent pointed to training as the primary tactic. “Employees have greater longevity with an organization when they are satisfied with their growth and future opportunities. Compensation should be internally equitable and externally competitive, but it’s not typically a differentiator that drives people to leave,” noted Morse. The report also found that, while wage increases are not the primary strategy for employee retention, retailer’s salary budgets have shown that increased compensation is a common tool used for retaining high performers.